Thanks for the suggestion, this bit me as well! 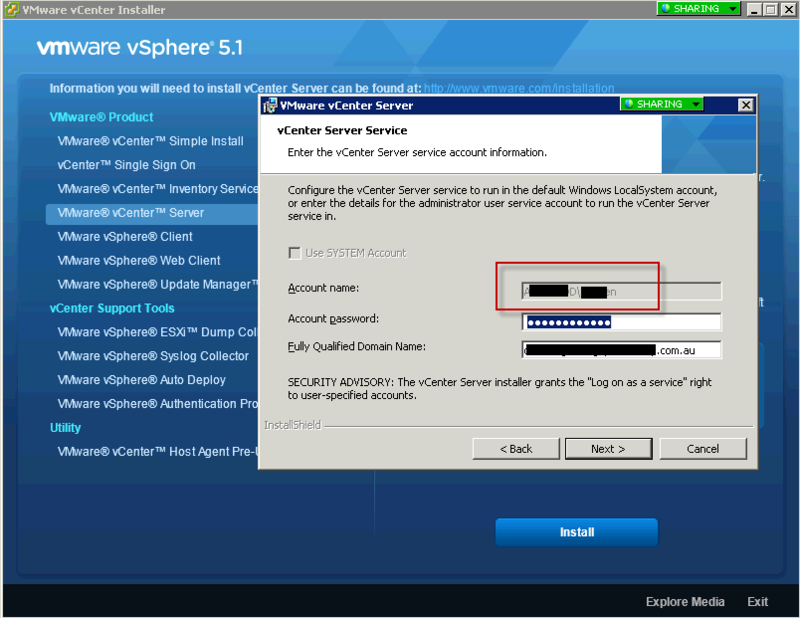 VMWare support had no method for viewing the inventory service either. So a reinstall was the path. Thanks for posting this, was running out of hair from pulling it out. 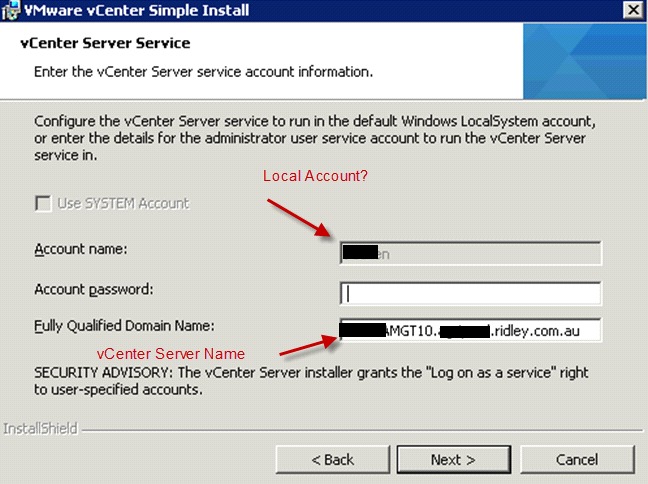 I have the same error, my vCenter is not a part of the domain and i use System account instead of specific account. Any suggestion? Does DNS of your link work? 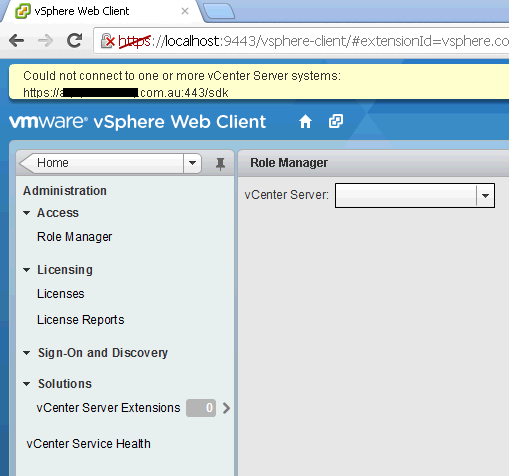 In my case, the link of vCenter is wrong. Please verify your link first. wow!! you fix my problme!!! thank you !!!! !